Reading is a vital part of spiritual and afterlife research. There are books that detail compelling personal experiences such as near-death experiences, books claiming authorship directly from the world of spirit through automatic writing or the recorded words of trance channels, books about out-of body experiences, past-life research, consciousness studies, mediumship experiences and beautiful after-death communications as well as academic papers and scientific studies. The following is a list with a short review of only the very best books in my spiritualism library. Each book listed here has something interesting, unusual or amazing to contribute to our understanding of afterlife research and I hope you find them as illuminating as I have. Books that have follow-up volumes that further explore the same general topic are listed underneath the first or initial publication. Books by the same author that explore new or different topics are listed separately with their own review. If you have a favorite afterlife or spiritualism book that you think should be on this list, please let me know in the comments! Unsubstantial new-age drivel, corruptions of other teachings, advertisements for the author’s own psychic or mediumship services, or outright deception or suspected deception. You will also not find books here with a religious perspective (aside from historical purposes or NDE reports) because I am committed to a secular, inclusive interpretation of the afterlife. I am not a part of an affiliate program, nor am I paid or promoted for recommendations. There are hundreds of books about near-death experiences available, but until now, none written by a neurosurgeon. Dr. Alexander was stricken with a particularly dangerous form of bacterial meningitis. His full recovery is a miracle in itself, but most amazing is his description of visiting the afterlife, and the complete reversal of his scientific opinion about the survival of consciousness after death. Dr. Alexander reviews both the medical and spiritual aspects through his unique perspective as a neurosurgeon, giving the reader rare insight into why his illness was a perfect study for NDE researchers, how his recovery was truly miraculous and how it changed him as a person. Dr. Alexander is now a huge proponent and outspoken supporter of NDE research world-wide. Atwater is one of the leading researchers of near-death experiences, particularly in children. 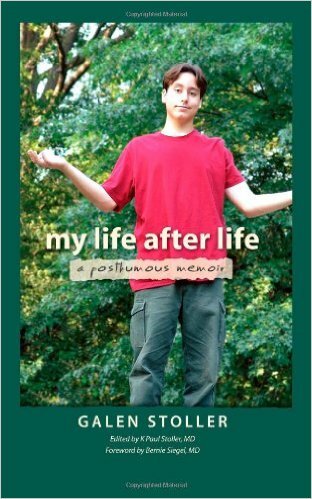 This book uses a study of 277 adults and children who had a near-death experience as young as in the womb through their pre-teen years. Atwater discusses not only the radical intellectual, social and cognitive changes in these children after their experience, but also the devastating impact NDEs can have, when not properly understood by themselves and by parents. 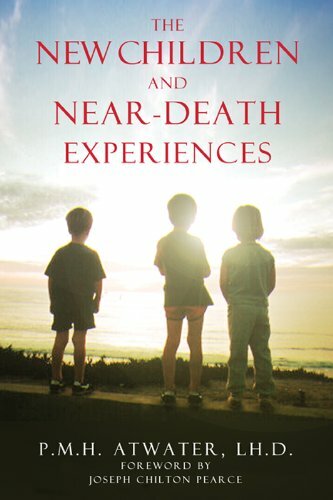 This book is important for any parent who suspects that their child might have had a near-death experience, even if the child doesn’t consciously remember it, or for anyone interested in the after-effects of near-death experiences. What you will read in this book is truly groundbreaking science, research and study in a field that is rarely illuminated, even by the pioneers of such research in adults. Laurin writes this book from a perspective we don’t ordinarily enjoy: that of a medical doctor with extensive experience in the emergency room, where patients are frequently resuscitated. She shares her own touching NDE story, then regales her experiences with patients and the amazing spirituality that she has encountered through their brushes with death. It is refreshing to hear from a member of the medical establishment. Too frequently it seems doctors are portrayed as resistant to miracles, near-death experiences, and death bed visions. Through Bellg, we are shown that there are doctors out there who have a fresh, open-minded perspective about spiritual phenomena and are willing to listen to their patients instead of dismiss their experiences out of hand. Dr. Betty, Professor of Religious Studies at CSU Bakersfield, fills these pages with fascinating and evidential communications spanning two centuries to show us that the afterlife is not some dream-like hazy world of harps and clouds, but an ultra-real place that responds to our inner state of being. Through these carefully selected communications, Dr. Betty deftly guides us through the rational structure of the multidimensional afterlife and the stark responsibility we have for the state of our own consciousness. “The Afterlife Unveiled” expanded my understanding of the structure and purpose of the afterlife in a way other books have not achieved; it is a cornerstone of my library. 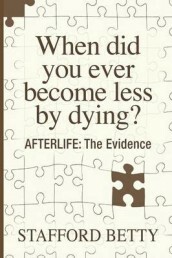 Any serious afterlife researcher should have this book in his or her collection. Dr. Betty has written some of my favorite books on the afterlife. As an academic professor who teaches on the subject, he uses his great knowledge of the history of spiritual literature and scientific study to introduce the reader to less well-known evidence as well as historical mediumship transcripts and messages directly from spirits. Instead of the same famous cases that are used as evidence in nearly every book, Dr. Betty has uncovered different cases, old and new, to make his point. 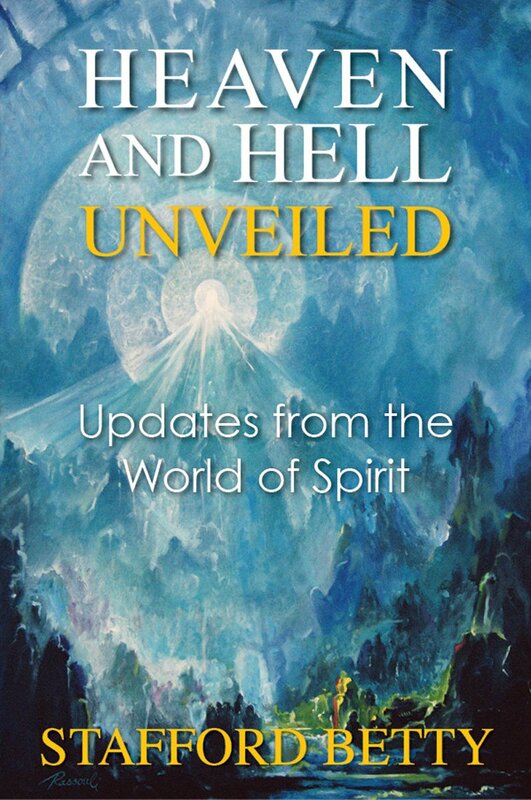 In this book, Dr. Betty covers deathbed visions, NDEs, apparitions, poltergeist phenomena, spirit communication, spirit attachment and possession, reincarnation, instrumental transcommunication, terminal lucidity, and more. Throughout the book, he adds his own academic and philosophical understanding to each subject to assist the reader in making sense of the evidence. William Bulman is an out-of-body expert. His first book, Adventures Beyond the Body, describes in fascinating detail his own experiences as he learned how to travel outside of his body in the astral and spiritual realms. This book is a fictional account of the experiences of a person who is recently deceased and their entry into the afterlife. The protagonist dies and finds himself in the traditional Christian heaven. Everything seems wonderful at first – There are parties and church and social gatherings, his mother is there and makes all of the food he remembers and even lives in a replica of their old home. But something is wrong. Everyone’s still waiting for Jesus and he never seems to appear. This is heaven, right? Or might there be something more to this afterlife? William Buhlman is an out-of-body expert and teacher at The Monroe Institute, named after OBE pioneer Robert Monroe. In this book, Bulman lays out his expertise and experience topically. For example, Bulman dedicates a chapter to Childhood Out-of-Body Experiences, the history of OBEs, even Extraterrestrial Contact and Abduction experiences. Even more tantalizing is Bulhman’s personal discoveries on the structure of the afterlife in his chapter on ‘The Thought-Responsive Universe’ a concept that pervades modern afterlife research. The term ‘consensus reality’ often used when describing the afterlife was coined by William Buhlman to describe the lower astral regions of the afterlife that conform to the baseline habits and psychology of their inhabitants. The book does include techniques for out-of-body travel, though readers who wish to delve more deeply into a how-to for OBEs should read his first book, ‘Adventures Beyond the Body’. This is a wonderful book for any explorer of consciousness to add to their collection, and interesting for anyone interested learning more about the afterlife. Dr. Calvi-Parisetti is a Scottish medical doctor, afterlife researcher, professor and musician who has spent many years studying (and teaching) about the scientific and anecdotal evidence of the afterlife. In order to help the uninitiated learn more about the evidence that exists for the afterlife, he compiled this book which is formatted in an unusual way. He takes the position of an afterlife expert who will be presenting the evidence to a skeptic over 21 days – one subject per day. Throughout the book, he creates the dialog between himself and the skeptic as the evidence is slowly presented, citing the studies and many, many examples to back-up his claims. 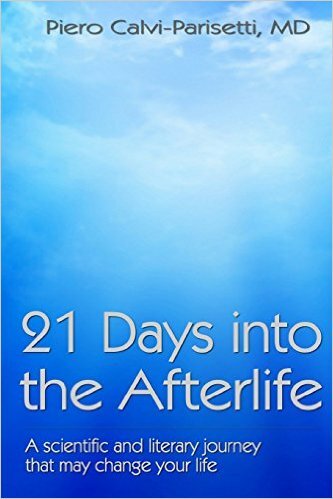 Over the course of the 21 days, the skeptic slowly concedes that the evidence for the afterlife is overwhelming and becomes a believer. What I really liked about this book is that it is completely evidence-based. Dr. Parisetti doesn’t appeal to your emotional side, but rather uses real evidence that appeals to your sense of logic and common sense. Many of the lines of evidence in this book proved to be a springboard for further research. Through this book, I learned where to find more obscure evidence, and what type of scientific research has been done in each area of afterlife research. This is also a great book to give to an open-minded skeptic who knows little of the field. I cannot praise this book highly enough. 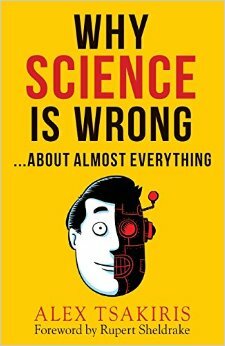 I would recommend anyone who is interested in ideas that go beyond mainstream science read this to get an excellent understanding of how and why science, academia and close-minded skeptics have been dogging experimental and alternative research for years, and how their arguments fail in the light of truth. Carter calls out individual skeptics and shreds their arguments, and then provides the reader with a fascinating history of PSI testing, all the while maintaining sound scientific logic and bare fact. This is not an emotional attack on the ‘other side’, it is simply truth – so much of which has been lost in the skeptical debate against parapsychology and PSI research. I commend Chris Carter for his thorough research and also thank him for helping me to untangle truth from fiction, misdirection and the out-right lies that have plagued the war over PSI for a half-century. In the second book of Chris Carter’s excellent trilogy, he examines alternative theories of consciousness, survival and PSI research as well as the great debate over consciousness. Carter includes ancient and modern theories as well as the newest research from neuroscience and examines the skeptical argument. Carter delves into the scientific theories of consciousness as it relates to physics, explores how memories are stored in the brain and theories of life. In part II, Carter explores the research into the Near-Death Experience phenomenon and compares our scientific knowledge with what is observed during this experiences. In part III, Carter explores the phenomenon of death-bed visions. This is a book heavy in science and philosophy. This is not a light read, but like his first book, this trilogy might be some of the most important books written on this subject in recent decades. Well worth the time and brain power to get through it. 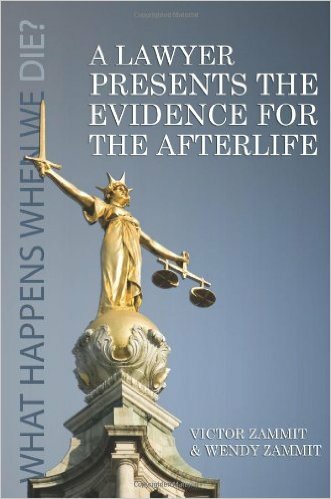 Chris Carter’s third book explores aspects of evidence for the afterlife, including theories on reincarnation as well as devoting ample time toward alternative explanations for the evidence. Apparitions make up part II of the book and Carter peppers each chapter with various stories and experiences to keep things interesting, including reports from children – not commonly included in other books on the subject. In part III, Carter takes on ‘Messages from the Dead’, looking at ancient evidence as well as mediums that were investigated by SPR and the result of such investigations. My favorite part of this book was his chapter on Super-ESP. This is a little-discussed alternative explanation to the survival hypothesis which attempts to explain the evidence of life after death by using only theories of PSI and Super-PSI. If your brain isn’t yet full enough, Carter unravels the incredibly complex cross-correspondences in the last three chapters of the book, exploring in great detail all of the evidence and experiences of this interesting and yet difficult to understand experience. The Sphere and the Hologram is book detailing the collaborative sessions of Rita Warren, teacher and volunteer at The Monroe Institute, and Frank DeMarco who acts as the ‘communicator’ to a group of discarnate entities affectionately called ‘The Guys Upstairs’. Rita poses thoughtful questions and Frank speaks for ‘The Guys’, discussing topics about life, death, time, the afterlife, spiritual progression and much more. This book, and the Rita’s world books that were written after Rita’s passing are an excellent collection of sophisticated channeling. If you love deep philosophical questions about the nature of reality, you should have this collection in your library. This book by Frank DeMarco is a treasure. DeMarco records an on-going dialog through the veil with his friend and former colleague Rita Warren who lives now in the spirit world. While Rita was earth-side, they worked together to contact high-level spirits called ‘The Guys Upstairs’ which was published into a book in 2008 called The Sphere and the Hologram. Continuing their work, DeMarco records his sessions with Rita herself, discussing profound topics such as the nature of reality, death and the afterlife and her experience now in the realm of spirit. 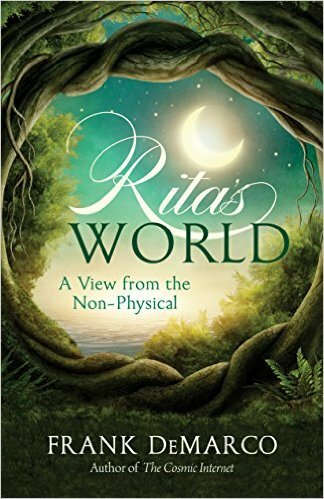 This book is esoteric and sophisticated, and yet Rita has a way of explaining difficult topics with metaphors that even we here on earth can understand. If you like Jane Robert’s Seth books, you will love Rita’s World. This is not a book containing research on past lives in children, it is a collection of anecdotes and stories submitted by ordinary parents and collected by the author. It’s a light read, though for anyone interested in past lives, past life memories in children or the afterlife in general, the stories seem sincere and some provide interesting food for thought. The stories are organized by subject, such as children who remember choosing their parents, or children who remember being parents themselves. I particularly enjoyed the chapter on ‘memories of spiritual connections to our source’. The genre of books on children’s past lives is not as robust as others, such as near-death experiences. If this is an area that interests you, you will definitely enjoy having this book in your collection. By all accounts, Annie Kagan was a normal, ambitious and successful woman working as a Chiropractor and writing music on the side. After her brother Billy passed away after a decidedly very troubled life, Annie was lost. She had quit her practice and moved into a rural home away from the noise of the city to pursue writing music. Alone and grieving, Annie shuffled through each day wondering where her brother was – that is, until she heard his voice speaking to her out loud. 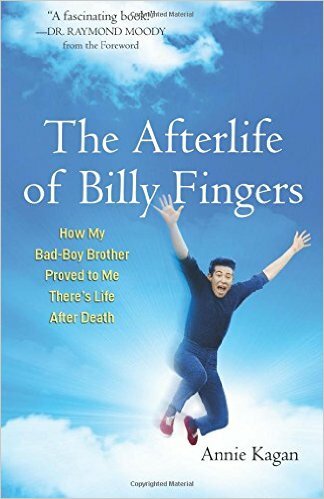 This book records not only the amazing afterlife experience that Billy recounts (one of the most unusual and interesting that I have read), but also the many coincidences and blessings that help bring Annie back into focus in her own life. 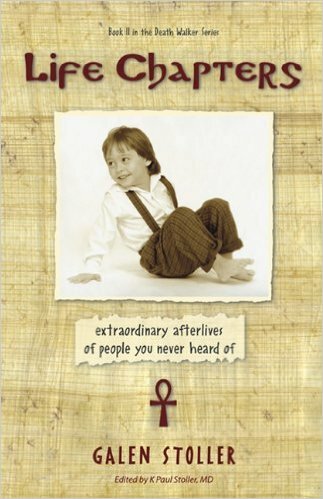 Billy is a rare spirit who has not decided to return to earth for any further incarnations, so his afterlife experience is unique and even somewhat sad, as his consciousness deepens and expands through the book and his spirit becomes less Billy, and more… something else. Want to read an excerpt and find out more about Billy’s experience? Try this post: Passing On: Transition Stories, Part III. Written by an ordinary guy looking for answers, this book is surprisingly full of research and evidence. Presented in a casual style, Cyrus mixes the findings of his own research with personal stories that led him to question the reality of life after death. Cyrus uses a lot of evidence in his book, putting forward a convincing argument for life after death. He especially devotes a lot of time and research into physical mediumship, a topic most books tend to ignore or gloss over. This is a great book for people new to the genre and the field of research because of the casual and honest style of presenting the evidence. Cyrus doesn’t try to sell you, he’s searching too. 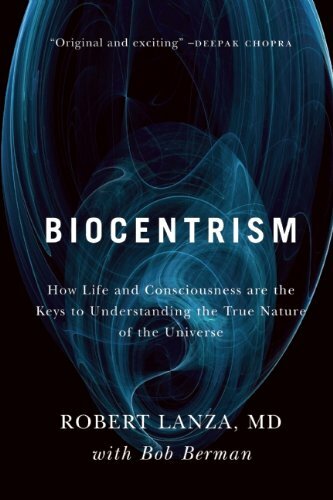 Biocentrism is an extraordinary book because the author, Dr. Robert Lanza, is considered one of the top three living scientists in the world today due to his ground-breaking contributions to stem-cell research. He shocked (and dismayed) the medical and academic communities when he published this book that turns materialism, the bedrock of science, on its head to suggest that consciousness creates matter, not the other way around. Dr. Lanza believes in life after death, and explains his theory of both consciousness and the real nuts and bolts of the universe using philosophy, quantum physics and biology to support his argument. The book is not a light read, and for non-science nerds the chapter on quantum mechanics might be a little difficult. If you can keep an open mind, though, this book will broaden your horizons and encourage you to consider your reality in a completely different way. Dr. Jeffrey Long is one of the giants of NDE research, and of you want a book that lays out the scientific evidence for life after death based on near-death experiences, this book doesn’t disappoint. Dr. Jeffrey Long is a medical doctor who has expended a considerable amount of research time studying patients who have had these experiences. This book is filled with stories and personal experiences that carefully build evidence for the reader, as well as medical and scientific perspectives that have resulted from Dr. Long’s extensive research and medical knowledge. This is definitely one of the seminal works in NDE literature. 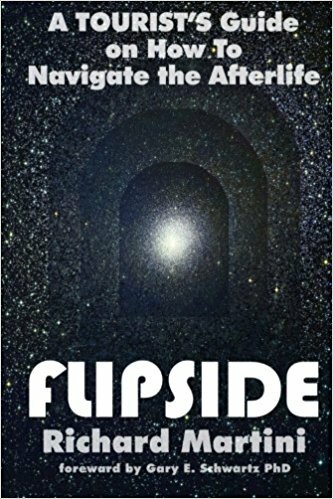 Richard Martini explores the world of Life-between-Life and Past-Life hypnosis in his book Flipside. Each chapter presents an interesting look into the past lives of clients undergoing regression and their thoughts on the experience. I enjoy that Martini’s work stands as a kind of independent analysis of Dr. Michael Newton’s LBL techniques. The regressions are done by different therapists but have uncanny similarities as well as comparison value to the Journey of Souls and Destiny of Souls books by Newton. If you are interested in past-life regression, or have enjoyed the books by Newton, I highly recommend this book. Martini even includes an interview with Newton himself. This book will have you thinking very critically about how your own life might be connected and influenced by the past, but just as likely you’ll also be won over by Richard Martini’s infectious charisma and gregarious nature. As serious as this subject is, Martini’s easy charm gives the subject matter a well-deserved tonal lift. Richard Martini continues his ‘Flipside’ series with It’s a Wonderful Afterlife, now exploring more concepts in afterlife research with interviews from researchers, authors and experiencers. He also offers his own thoughts and opinions with light-hearted stories drawn from his own life and experiences. Case in point, Chapter Five opens up with the line, “I’ve slept with Steve Martin”. Martini’s book offers interviews with Dr. Bruce Greyson, and Hypnotherapist Scott De Tamble. He reviews the experiences of Dr. Eben Alexander, author of ‘Proof of Heaven’, Colton Burpo, the child NDE experiencer and subject of the book ‘Heaven is For Real’, Rajiv Parti, medical doctor and NDE experiencer, and even discusses Roger Ebert’s fascinating departing message calling life, ‘An Elaborate Hoax.’ If you are already familiar with the authors and books I’ve mentioned, you will really enjoy Martini’s insight on each. If you aren’t familiar with these sources, Martini’s book will introduce you to a whole host of of great authors that can further your understanding of the afterlife. In Dying to Be Me, Anita really draws you into her whole life story, not just the miraculous part where she has a near-death experience and heals from stage 4b cancer in a matter of days upon her return. Anita’s experience also leaves the reader with lessons they can apply to their own life, without ever feeling preachy. The medical evidence was provided to oncology doctor Dr. Jeffery Long who independently verified her claims of this medical miracle. Highly recommended for anyone struggling with fear, illness or challenge in their life. Dr. Michael Newton started out as an atheistic psychotherapist attempting to use standard hypnosis to help patients get to the root of their phobias, fears, recurring nightmares and untreatable illnesses. During one frustrating session early in his career, he asked his client to go to the source of his issues. His client spontaneously started describing a past life. Over the years, Dr. Newton then began regressing his clients to the time they spent between lives, eventually pioneering his Life Between Life Hypnotherapy technique. He started the Newton institute to teach other qualified therapists to do the same and the technique has spread around the country. Dr. Newton realized over 30 years of work that his patients were describing the same aspects of the afterlife. They described the council of elders, the life review, a library where we can access past lives, soul groups, specializations for advanced souls (see my post on Dr. Newton’s Afterlife Careers) and much more. 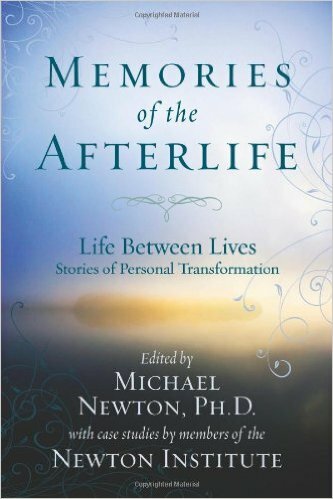 This is a book packed with detail about the afterlife through selected case studies and if you trust that Dr. Newton’s work is genuine, I promise you won’t think about spirituality or the afterlife the same way after reading this book. If I had to choose one book to give a person who knew absolutely nothing about the current research in life after death, I’d give them this book. Bob Olsen’s style is approachable without being patronizing, and his spiritual know-how is solid. He speaks about his own 15 year search for life after death after the death of his father and gives excellent advice for others who want to start their own research. 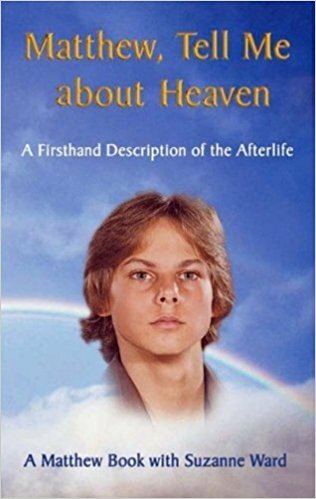 Finally, he devotes a large portion of the book to question and answer which covers basic questions about the afterlife to anyone starting out might have. The spiritual information is well-researched, as one would expect from a PI. It’s an great all-around introduction to spiritual topics. Peter Panagore is a twenty-one year old college student who opts to accompany an acquaintance on a dangerous winter backcountry ice-climbing trip at the Lower Weeping Wall in the Canadian Rockies in order to avoid returning home to his troubled family during a school break. Although Peter is an experienced backcountry camper, he is a novice ice climber. When he and his climbing partner become stranded on the ice ledge after nightfall, Peter succumbs to hypothermia and dies. His powerful and challenging near-death experience changes his life forever, although he struggles to adjust to life after meeting the face of God. This book combines the thrilling and terrifying aspects of Peter’s ice climb with the impactful experience of his NDE to create a unique book that not only conveys the transformative beauty of a near-death experience, but all of the difficulty that experiencers have when they return to ordinary life. Dr. Parti had it all: fancy cars, a huge mansion in Cali, a beautiful wife, three kids and the job of a lifetime: anesthesiologist at one of the best heart surgery hospitals in California. All this was about to change with a series of health-related misfortunes and a surgery to save his life. In a heartbeat, Dr. Parti was shown how shallow and meaningless his materialistic lifestyle was during his extensive near-death experience. After meeting with his deceased father, ancestors and two angels, he was told that when we returned to life, he would have to give it all up, start over and begin healing in a completely new way. Dr. Parti doesn’t sugar coat his own short-comings and challenges along the way, and his experience can serve as both lesson and inspiration to the challenges that we all face on this journey through life. Currently reading… check back soon for a review. Seth Speaks: The Eternal Validity of the Soul was allegedly written by a high-level discarnate entity named Seth who spoke through writer Jane Roberts in the 1970’s. Jane never became famous or rich during her lifetime channeling for Seth twice a week and yet for 20 years, she and her husband dutifully recorded the most amazing, original and sophisticated spiritual literature in the 20th century. This is the first book in a series produced by Jane/Seth, and they get progressively harder and more technical. This book had a profound personal impact on me, and undoubtedly the larger spiritual movement. This is not a book of platitudes, but rather an introduction to the very nature of multidimensional reality. Combining science, philosophy, health and practical advice for living an unapologetic life, Seth Speaks is required reading for any afterlife researcher or spiritualist. Even if you doubt the “supernatural” origin of the words, the message is so profound and so elegantly inspirational that it matters little; the work stands on its own regardless of any question of authorship. Natalie Sudman was working as a civilian construction contractor in Iraq when her convoy was hit by a roadside bomb. Natalie was seriously injured, but before being rescued she ‘blinked’ into a completely different dimension where her experiences were being examined by thousands of “white-robed beings”. Far from a traditional NDE, Natalie’s time in the spirit world opened her eyes to truths about our physical lives, consciousness, the role of spirit guides, soul contracts and much more. This is one of the most instructive NDEs I’ve ever read. Related: Read my post on The Implications of Natalie Sudman’s Unusual Near-Death Experience in Iraq. This book is a good introduction to the evidence of life after death without being completely overbearing. Taylor introduces some of the most well-known cases in several areas of life after death evidence, such as death-bed visions, near-death experiences and mediumship. Also provided is the history of spiritual development in the 1800’s and the interesting cases that provided a foundation for modern belief. The book is not comprehensive by any means, but for a reader that isn’t looking for a tome on the subject, the book presents a diverse selection of evidence. The writing has a lighter touch, so this is a good book for those who aren’t interested in chapters full of scientific citations and references to quantum physics. Taylor takes a neutral position throughout the book, letting the evidence speak for itself while still maintaining a running narrative that attempts to pull it all together for the reader. Alex Tsakiris runs the popular podcast Skeptiko, where he interviews authors, researchers and experiencers typically relating to consciousness studies and psi phenomenon. If there has been a great new case, book or breakthrough in research, you can bet that Alex will interview them on his show. The book he presents is a distillation of what he’s learned about the frailty of the scientific establishment of materialism, and why the looming edifice of current scientific belief is not as solid as it appear to be. He uses examples from his own interviews and pairs them with alternative evidence to illustrate his point. Alex is strong-willed in his opinions, but open-minded. There is no glad-handing here: Alex seeks out experts in every field to blow the field of alternative science wide open. Dr. Dean Radin, Dr. Rupert Sheldrake, Dr. Jan Holden, and Dr. Jeffrey Long, among others, all make their appearance here. Dr. Tucker is a psychiatrist and research scientist who has collaborated with the pre-eminent scientist, Dr. Ian Stevenson who was famed for his rigorous study of memories of past lives in children. Arguably THE best scientific evidence for life after death today, Dr. Ian Stevenson’s methodology was considered so bulletproof, that few skeptics even dare bring up his work, preferring instead to pretend that his conclusions simply don’t exist rather than attempt to refute them. 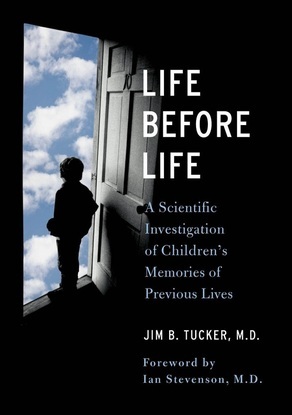 Dr. Tucker takes up Dr. Stevenson’s work where he left off after his death, continuing with Dr. Stevenson’s excellent methodology to bring us some of the most fascinating cases of past-life recall in children. Like Stevenson, Tucker follows up with all cases to ensure that there is no way the children or the families could have come up with the information in a fraudulent way. If you are looking for a fast, exciting read, however, this may not be the book for you. The scientific thoroughness that Dr. Tucker insists upon unfortunately translates to extremely detailed, technical and sometimes dry reporting. 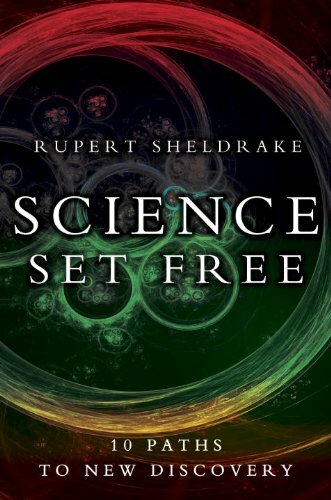 However, if you are serious about finding scientific evidence that is hard to refute, this book will not disappoint. This is a classic in spiritual literature. 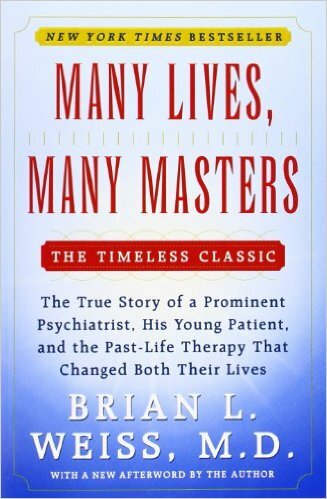 Dr. Brian Weiss, a traditional psychiatrist, tells of his first experience with past-life regression which happened quite accidentally while he struggled to help a young woman with several phobias and deep, unexplained trauma. While the story of her past lives are quite compelling, I was disappointed that the book only revolves around one patient. From an evidential standpoint, one patient’s hypnosis can hardly be considered proof of the afterlife or reincarnation. Which of her so-called past-lives were real and which may have been created to please the obviously enthusiastic doctor is impossible to tell. 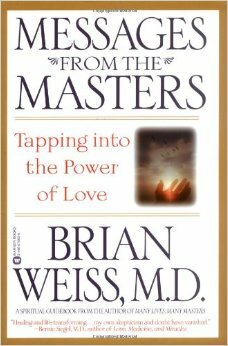 However, I think this book does have merit which is why it is included in my recommended reading list: the ‘messages from the masters’ are interesting and inspiring, and its written well enough to be entertaining. This book also provides some insight as to the process of healing trauma through past-life recall, which does seem to have therapeutic value regardless of the source of the ‘memories’. 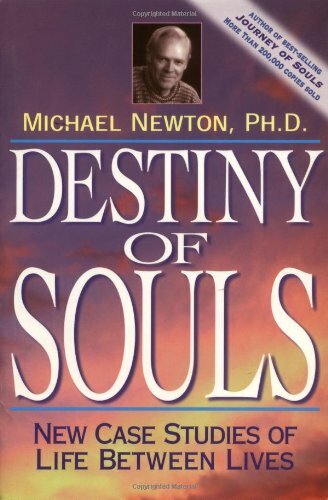 If you are looking for more information about past-life hypnosis, I would also recommend Dr. Newton’s “Journey of Souls” and “Destiny of Souls”. Victor Zammit, a retired lawyer, introduces the concept of weighing life after death experiences evidentially, as any lawyer would examine the facts of a case in a court of law where scientific proof was not available. If you are looking for a book that presents all of the best evidence – the scole experiment, the cross-correspondences, instrumental transcommunication, physical and mental mediumship, past life regressions, even quantum physics – this book has it all in spades. This book also has chapters on some rather unusual evidence, such as xenoglossy, psychic detectives, the Ouija board, and independent voice mediums. 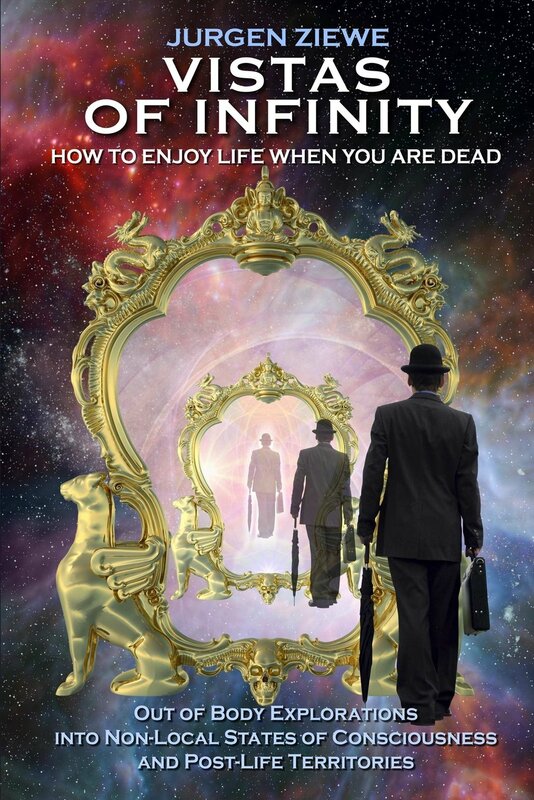 It’s a wonderful in-depth guide to most aspects of life after death research without delving into the philosophy of spirituality or providing an overall theory of the afterlife and its mechanics. The book provides the evidence, and asks you, the reader, to draw the conclusions about what this means for your own beliefs. Jurgen Ziewe is an expert in out-of-body travel, spending a long time learning the fine art of directing his consciousness away from his body and into the astral realms. These realms also happen to be where spirits reside; the afterlife. In a sense, Ziewe is crossing through the veil into the multidimensional afterlife in order to tell us what it’s like. In his travels, he meets his deceased mother, family, and friends and explores the various levels that spirits find themselves in after death. He wanders into a cartoon world created by two cartoon enthusiasts, meets women who make him a new outfit using their thoughts, and even learns the horrifying and gruesome hellish fate of suicide bombers. This is an amazing resource for afterlife discovery; a unique, interesting book filled with descriptive details that will stay with you long after you’ve finished the book. More book reviews coming soon…. just came across this(better late than never:-),but you are definitely not wrong re. Roberta Grimes! it’s really about Jesus being the ‘oracle’ par excellence, the most important teacher for mankind, blah blah-was a real turn off for me! 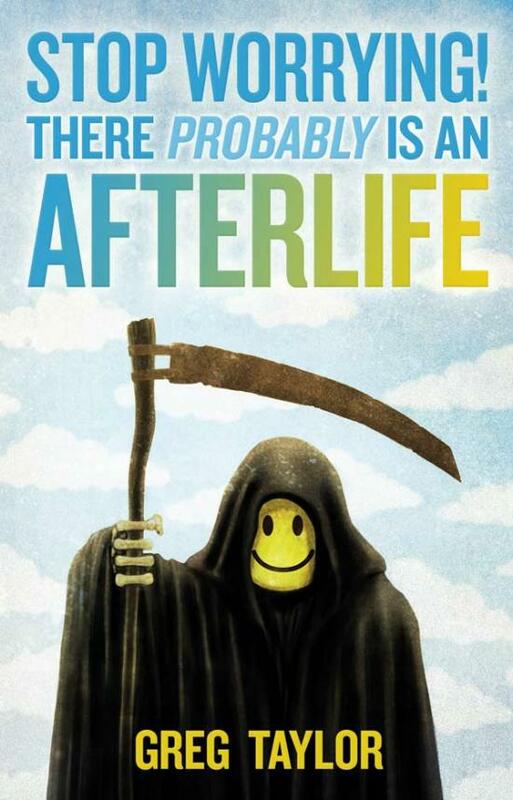 A really good book is ‘The Afterlife revealed:what happens after we die’ by Michael Tymn.I have given this book as a present to various friends who were fairly new to Afterlife subjects,as it is written in a simple, concise style providing well researched material. And I loved Jurgen Ziewe’s ‘Vistas of Infinity’ which you already mentioned. Just reading ‘Spiritual Science’ by Steve Taylor..
What a fantastic review of many books I have read and others I now plan to read! I want you to be aware of a book I recently self-published on Amazon in this genre. LOVE IS ALWAYS THE LESSON: My Stories From the Edge by Sherry Smith R.N.N.P. I am getting terrific feedback that it is both stimulating and inspiring. It is more than evidence of an afterlife. The stories weave a thread of influence throughout a lifetime of guidance from unseen forces. I would be honored if you read and reviewed my metaphysical memoir. I invite you to listen to my interview with Suzanne Giesemann (Messages of Hope) on Unity Online Radio. Cheers! These books are exciting! Thank you for bringing them together in this article. But you have forgotten a book very important !!! Thanks to add it to this list. Please, click on the link below. That is a very comprehensive list. One of my favourite books is Testimony of Light by Helen Greaves. it was first published in 1969 and is still in print. Yes! I don’t own that one yet, but I know it is a fantastic resource because I’ve seen it used as sources for other material. It’s on my book wish list. Thank you for the recommendation! I stumbled across your great recommended reading list and I love your criteria for what type of books make to the list. I wanted to let you know about two books that I have written about my own search to find personal evidence of the afterlife. I come from a completely non religious angle incorporating a subjective scientific method. I use a lot of humour in my books as the topic can get a bit too serious at times! The links below have both paperback and ebook links. Dying to Know: Is there life after death? Turning Inside Out: What if everything we’ve been taught about life is wrong? Looks awesome! Thanks for sharing your books, I’m looking forward to reading Dying to Know. Thanks so much for recommending your work! Thanks Jenn. The more resources we all have the better! Turning Inside Out: goes deeper into the afterlife question… It basically documents my journey from chasing ghosts to finding spirituality. I ask 4 key questions. What if we don’t die? What if we are not alone in this world? What if life wasn’t meant to be a struggle? And what if in fact love does make the world go round? Thank you! I have one of his books on my spiritual book ‘wishlist’. I’ll be sure to bump it up to the top! Great list of books have read many. I love the idea of Evidential Spirituality it totally spoke to me. I don’t think of myself as A Church person and don’t like to be told what to believe. I know I will enjoy a book when the author says “This my truth” as we all must find our own, read enjoy take what you can that helps you and leave the rest. But above all be open minded. Thank-you for all your work. I’m so glad that Evidential Spirituality resonated with you. There are many paths to spirituality, and I believe we ought to explore them all – including using logic and self-determination to decide what makes sense to us using the evidence that is clearly out there. I don’t think people would be having all of these different types of spiritual experiences if we weren’t meant to learn from them, though the ultimate truth we derive from them must be our own. I agree – above all, be open-minded. Thank you for taking the time to comment – hope to see around! This will definitely interest you. Read this text to the end and click on the links and images. This will give you a huge amount of exciting information about the afterlife. Wow, u’ve just filled in my reading list for the rest of my life. I want to second Bhaga’s recommendation for Robert Monroe’s 2nd and 3 rd books. In fact it was she who turned me on to him. AS it was she, her blog, who turned me on to Natalie Sudman and Dannion Brinkley. see below. and i want o recommend Secrets of the Light by Dannion Brinkley. I think thats the title of his 3rd book and his best. His persona could be seen as brash but he has integrity. I’ve studied his talks and writings and find him consistent to his ideals. The AINDS guest speaker list is full of more books that aren’t on ur list and u can listen to the writers a bit and so get a taste for what ur interested in. Thank you, Jenn, for this great list! We have quite a few of them already, but not all by any means, in our own Research Specialized Library for the Research & Documentation Center I founded in 1984, the ‘Laboratory of Evolution’, in Auroville where I live since 1972. But I am surprised you didn’t mention any of the books by Robert Monroe here, and elsewhere I have seen only the first one mentioned – which I found the least interesting, when the two next ones have been so extremely interesting and informative for me since many years, together with the Seth Speaks you do mention. But somewhere you do quote Bob Monroe by saying that one, through direct experience, can “transform a belief into a known”, so you are indeed familiar with his way of speaking and are using it at least to that extent. Have you ever read the two other books he wrote, ‘Far Journeys’ and ‘The Ultimate Journey’? If yes, would you mind explaining why you didn’t include them here? Hi there Bhaga, I love Dr. Monroe’s work and his books will certainly be and absolutely deserve to be on this list. I just haven’t read them all yet! Until I own a copy of the book and have read it carefully, I don’t put the book on my reading page but his books are next in my long wish list. Thank you for your recommendation! Your library sounds interesting, do you have a website? Upon exploring further into your site and posts, I see you have already listed these sources I mentioned – and so, so many more! You’ve got it all covered from what I can tell. 😉 Your site is exactly what I was looking for and I’ve been enjoying each of your posts so far as well as information gained from the commenters. Thanks so much! Good list. Also looked up J.Lambert’s The Light. I’ve read some of these and will add some to my own ‘to read’ list. Taking Heaven Lightly, by Roisin Fitzpatrick. NDE story, very well written, endorsed by Dr. Bruce Greyson. The Last Frontier, Julia Assante, PhD with foreword by Larry Dossey, MD Informative, interesting read. Like almost anything, one can pick holes in it but very worthwhile, I thought. What a great library. I have the Newton books and I am intrigued by Suldman after reading your article on her. Are you familiar with The Companions of Wisdom? A very interesting channeling over the last 10 years. Super secret. No interest in making money on the information. But an advance of Alice Bailey and DK. Thank you very much! It’s a work in progress.. I have so many to add. This channeling sounds extraordinarily intriging… thank you so much for the recommend.. is there a book, or a site? Im always interested in channeling that stays quiet and preserves it’s integrity. EDIT: Hang on.. is this the “J-messages group”? I did not hear some very nice things about this group. I don’t listen to hear-say, but I can’t seem to find anything legit about them online in order to research what they do? Have you seen any of the books by Roberta Grimes? I know of Roberta Grimes but every time I look through the options for spiritual and afterlife books to add to my collection I tend to pass her by. Only because it seems like she has a Christian bend and although I am not against religion, I am committed to a completely secular understanding of the mechanics of the survival of consciousness. I shouldn’t judge Roberta until I’ve read her books though – I could be completely wrong, so I will pick up ‘the fun of dying’ and keep an open mind. Thank you for the recommendation!